“A town meets country location. 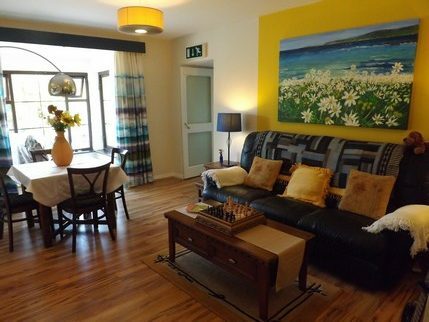 Just a 1 minute drive to Clifden town centre”. 6 en-suite Bedrooms – King/Queen double and/or twin bedded. (The 4 x king-size bedrooms overlook the gardens. The 2 x queen bedrooms (double, twin or triple occupancy) are to the rear of the house. Please note all bedrooms are upstairs and all en-suite). All bedrooms are equipped with 32″ satellite T.V.s/radio (usb and hdmi ports). Tea/coffee tray. Hair dryers. Room safes for valuables. Bedside books and magazines. Blackout Blinds. Comprehensive local information folder and maps. Bathrooms: power showers and complimentary toiletries. Breakfast is served at individual tables in our dining room – complimented by the multi-choice buffet and ‘cooked to order’ breakfast favourites. 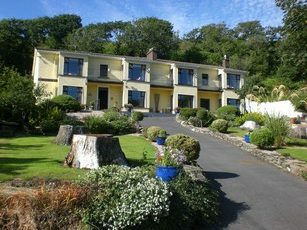 All rates are inclusive of full breakfast, parking, taxes and apply to direct bookings via this website. Please click on the TABS at the top of this page to access further information or to enquire directly about bookings/availability. 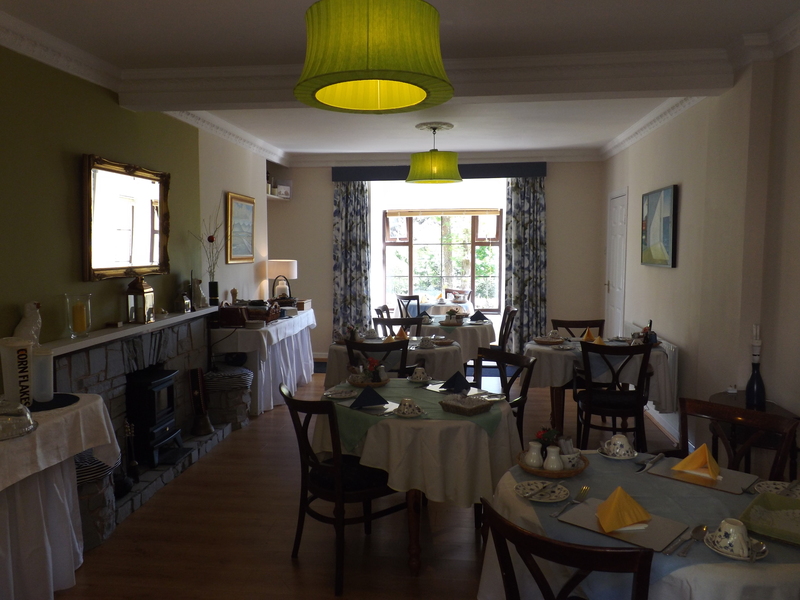 Comfortable and relaxing Guest Lounge, tea/coffee station, extensive local walks, garden, outdoor garden seating. Wi-Fi, Extensive DVD – film and documentary – selection available.